Prof Lynn Gillam is an ethicist with particular interests in paediatric clinical ethics, research ethics and ethics education. Lynn is the Clinical Ethicist and Academic Director of the Children’s Bioethics Centre at the Royal Children’s Hospital. At the University of Melbourne, Lynn is Professor in Health Ethics at the Centre for Health Equity, in the Melbourne School of Population and Global Health, where she teaches health ethics in the medical curriculum and ethics and research design in the MPH program. Lynn’s academic background is in philosophy and theology (MA, Oxon. ), and bioethics (PhD, Monash). Lynn has over 20 years experience on Human Research Ethics Committees. She is currently the Chair of the University of Melbourne Human Research Ethics Committee, which is an oversight and policy-making body. She also serves on a number of ethics advisory bodies for state government agencies, professional bodies and the NHMRC. Lynn has published widely in bioethics, on a range of issues, including paediatric clinical ethics, , research ethics and ethics committees, pre-natal diagnosis, reproductive technologies and genetic testing, and , the use of human foetal tissue. She is co-author of a text on critical thinking, called Facts and Values (MacLennan and Petty, Sydney, 1995), and Telling Moments, a narrative approach to clinical ethics (IP Communications, Sydney 2006). 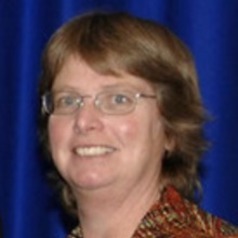 Lynn’s current research interests include pre-natal diagnosis and selective abortion; ethical decision-making and the role of trust in research ethics; end-of-life decision-making in paediatrics, and controversial medical treatments which alter children, in particular surgical treatment of intersex conditions. She also has a strong interest in the intersections between ethics and sociology, and the development of inter-disciplinary qualitative methods suitable for research in ethics.